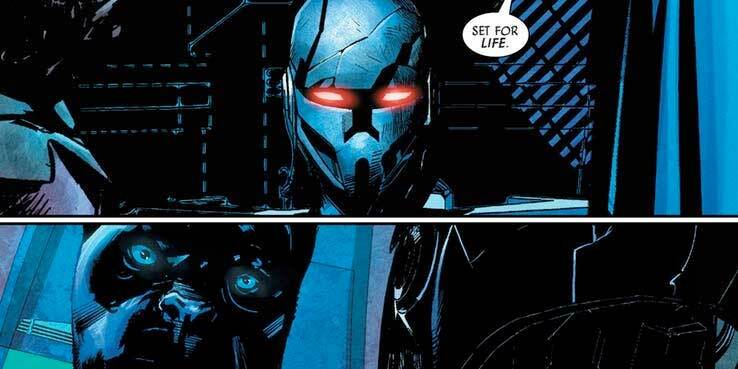 The current arc of the Darth Vader comic by Charles Soule titled “Fortress Vader” shows us how Vader’s Fortress (or Castle Vader) was constructed on Mustafar. In the comics twenty first issue, the Sith Lord travels to the hellish world with an Imperial Architect to begin the construction. Though Vader has other interests on the planet. Vader interest in Mustafar is to explore more of the Dark Side of the Force, funnily enough at the same location he bled his lightsaber’s kyber crystal. The Imperial Architect does her best to get Vader’s attention and approval on the designs of the structure but fails. She is the killed by her assistant who has become possessed by the mask of an ancient Sith Lord called Momin. The mask has appeared a few times before, first appearing in the Lando Comic series also written by Charles Soule. In the comic Lando and a small crew attempt to steal from one of Emperor Palpatine’s vaults and come across Sith artifices. That mask is front and centre in that collection and quickly starts possessing people, forcing them to kill each other. Chronologically the first time we see the mask of Lord Momin is shortly after the Clone Wars when Chief Librarian Jocasta Nu sneaks back into the Jedi Temple to access the Jedi Archives on Coruscant. Momin’s mask is seen in a room with other hidden force related objects. It would seem that the Jedi knew of the possessive powers that the mask held and wanted to keep it away from anyone’s reach. Palpatine felt that the mask would be useful for his apprentice as he sets up his fortress. Palpatine guess correctly as the mask or the spirit of Lord Momin possessed the architect’s assistant, designing a structure that is very close to what we see in Rogue One: A Star Wars Story. 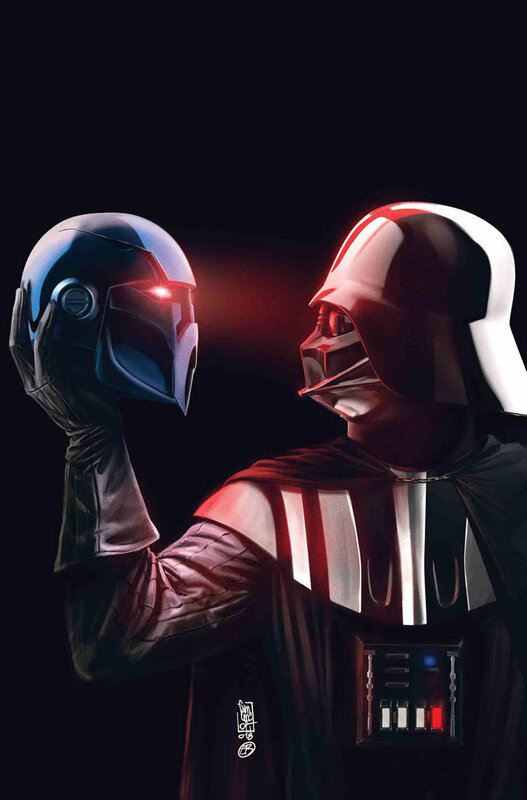 The next issue of the Darth Vader might in fact focus on the mask of Lord Momin, according to it’s cover (the artwork above). Maybe we’ll see a glimpse into some ancient Star Wars history. An era that has been hardly explored as of yet in Canon.